The Commodity Futures Trading Commission and the Utah Department of Commerce, Division of Securities released the following after charging a Salt Lake City precious metals dealer for allegedly defrauding over 200 individuals in a Ponzi scheme. 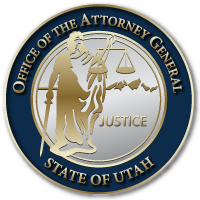 A special thank you to Assistant AGs Robert Wing, Tom Melton, Jennifer Korb, and Paula Faerber for their hard work and commitment on this case as they serve our partners, clients, and the people of Utah. Director of Enforcement James McDonald commented, “As alleged, for at least a decade, the Defendants defrauded their friends, customers, and business associates out of more than $170 million. The Defendants allegedly concealed their fraud with false account statements and Ponzi payments; however, their scheme was brought to light through the combined efforts of the CFTC and our law enforcement partners. This is yet another example of the CFTC’s commitment to coordinate with our law enforcement partners both to protect our markets from fraud and to ensure that wrongdoers are held accountable. I’m grateful to the Utah Department of Commerce, Division of Securities and Utah’s Attorney General and their staffs for their assistance in this matter. This entry was posted in Recent Posts and tagged Commodity Futures Trading Commission, Gaylen Dean Rust, Rust Rare Coin, U.S. Securities and Exchange Commission, Utah Attorney General, utah department of commerce, Utah Division of Securities on November 16, 2018 .